Happy Palm Sunday! 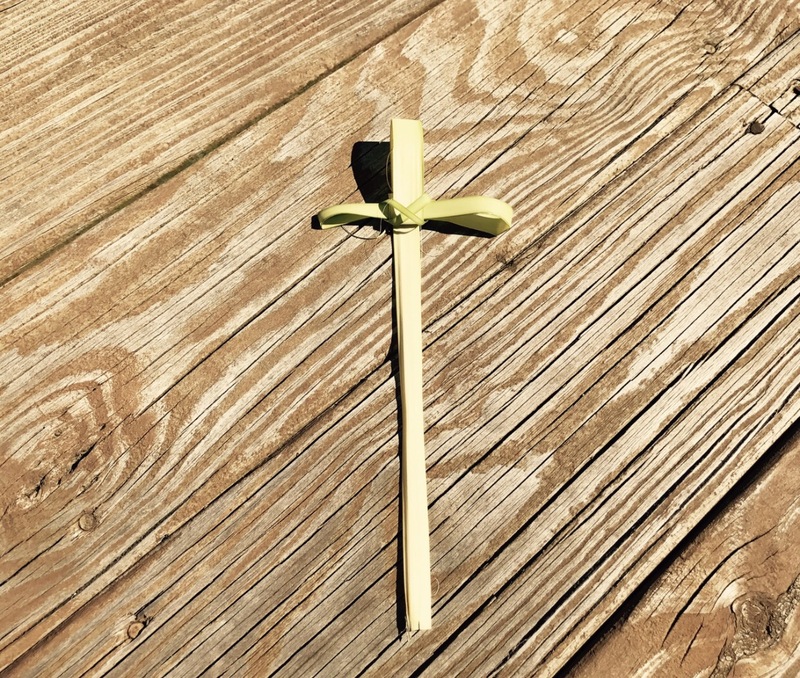 Here’s my crooked little cross made from a palm branch. It’s far from perfect; just like me! But I’m redeemed, and Jesus lives in my heart! Therefore, I am forgiven; washed in the blood of the lamb, as clean as purely white, fresh fallen snow! I am 2-1/2 weeks into recovery from a lumbar spinal fusion, and I joyfully went to church today! I was so thankful to participate in Holy Communion with my own precious family, and with my church family filled with my brothers and sisters in Christ. It was wonderful to be surrounded by so many loving people, who have supported and encouraged me through this time of healing. I truly cherish every single prayer, hug, and meal which has come my way! Thank you, Jesus, for dying on the cross for my sins, so I can live eternally in Heaven with you, and my loved ones who know you. Let me be a living testimony to how you can taken someone’s broken painful past, and change it into a joyful love story! Thank you for being my King! “They took palm branches and went out to meet him, shouting, ‘Hosanna!’ ‘Blessed is he who comes in the name of the Lord!’ ‘Blessed is the king of Israel’ ” (Jn. 12:13)! An imperfect being; saved by a King on a cross! Angela, So glad you were able to attend church on Palm Sunday! Praying for continued healing. I’m so glad we’ve connected. Blessings to you and yours, dear sister! Love the analogy of the crooked, imperfect palm cross, just like us!